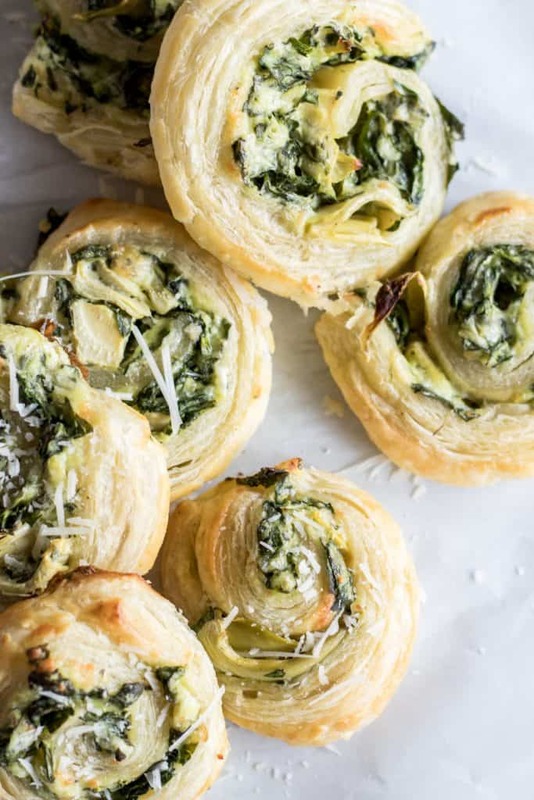 Puff Pastry Spinach and Artichoke Pinwheels. This easy to put together appetizer is perfect for any party or just as a snack. Loaded with fresh spinach, artichoke, and lots of cheese! 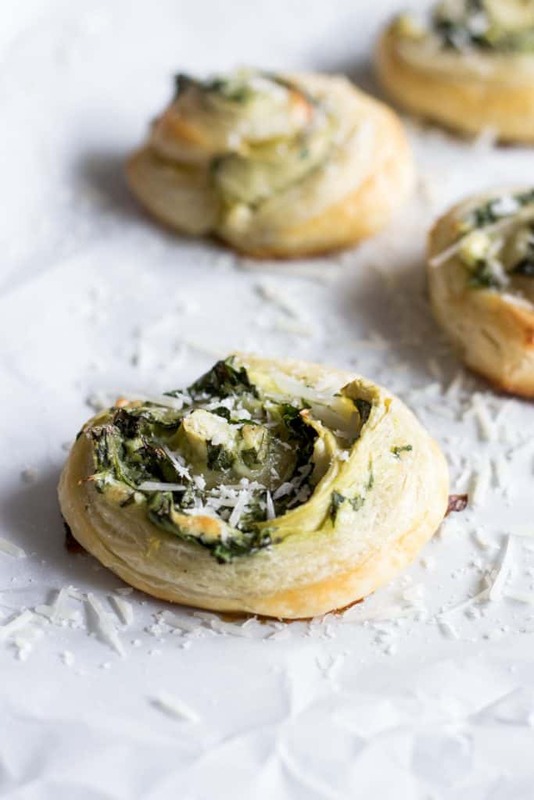 Puff Pastry Spinach and Artichoke Pinwheels. My all time favorite dip baked up inside flakey crispy pastry like a savory cinnamon roll. 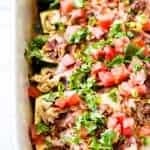 Perfect for an appetizer or snack. Make the spinach and artichoke dip. 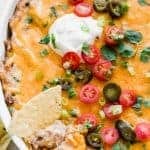 This version is made with cream cheese and sour cream. Fresh spinach, which doesn’t need to be cooked before hand. And artichokes. I grate in the onion to ensure that it’s super fine and it blends in seamlessly. Using a zester or microplane grater works easily for this. Use an egg wash on the puff pastry. This keeps it flakey while baking with the dip sandwiched between it. Make sure you leave space on the pan between the rolls while they bake. And roll them as tight as you can to help them keep the best shape. 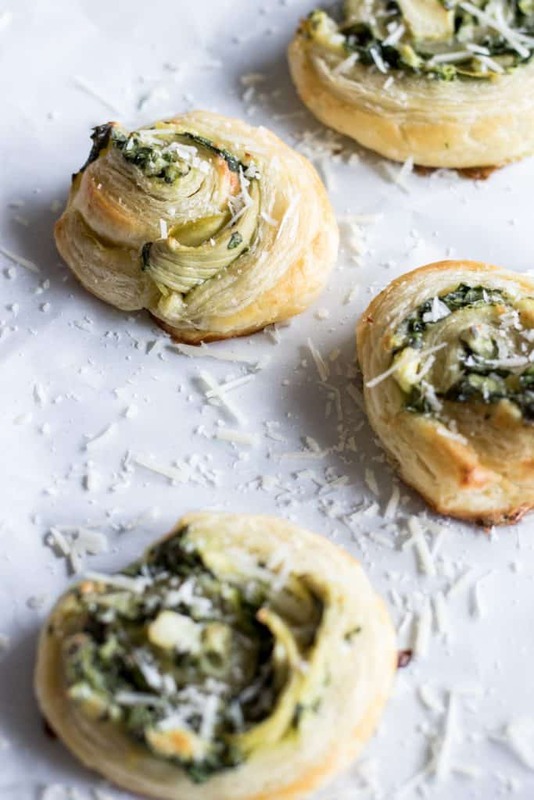 Overall thanks to using frozen puff pastry these are a super easy snack to put together. And if you have leftovers you can toss them in the fridge. My kids enjoy them re-heated and I just eat them cold from the fridge. Preheat oven to 425. Line a large baking sheet with parchment paper or a silicone baking mat. Set aside. 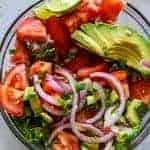 In a large bowl combine the cream cheese, sour cream, mozzarella cheese, parmesan cheese, grated onion, minced garlic, salt and pepper. Stir together. Add in the spinach and artichokes. Stir until all combined. In a small bowl combine the egg and the water. Mix with a fork. Brush this onto the puff pastry. 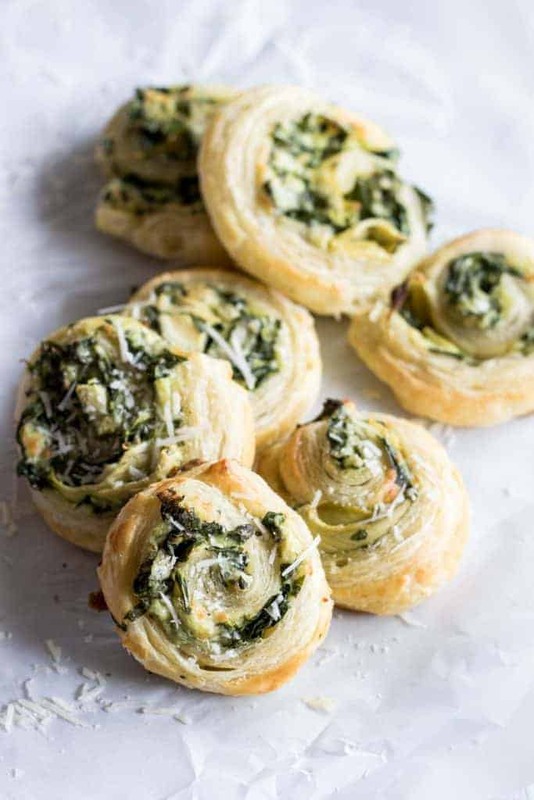 Spread a layer of the spinach artichoke dip on the puff pastry. Carefully roll it up and using a sharp knife cut into one inch sections. Lay onto the prepared baking sheet. Brush the top of the pinwheels with the egg wash.
Bake for about 20 minutes. Will be slightly golden. Remove from the oven and allow to cool for a couple minutes. Best when served warm. If you need more snack ideas these Bacon Bourbon Meatballs are always a hit! So are these Cuban Sliders! Can’t wait to try this — most likely after the holidays … quite busy right now. Sleet/freezing rain!! If I get to the store on Sunday – this is a must! Thank you so much for sharing. Merry Christmas! These look tasty and simple! 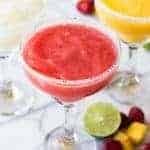 I need to make them for a shower this Saturday. 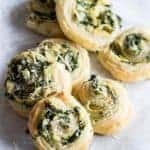 So just so I understand the directions correctly, you brush the egg wash on the whole puff pastry sheet before you add the spinach artichoke mixture? Yes! Lay the puff pastry down, and the side that faces up, you want to brush with the egg wash. This is also the side you will put the filling. Then roll the pastry up, cut it, and you can brush the egg wash over the rest of the pastry that is now on the outside. I hope that helps clarify it!